How do I connect Klipfolio and Slack? You can set up a connection between Klipfolio and Slack to show your data on a dashboard. Use the steps in this article to learn how to set up that connection. Klipfolio integrates with many cloud services and tools to create meaningful data visualizations. What options do I have for visualizing my Slack data? You can use the Connector Gallery to get your Slack data into Klipfolio. 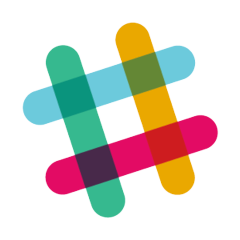 Use this article as a guide to build your own Slack data source. How do I authenticate with Slack? The first thing you will be asked to do is authenticate to create a connection between your Klipfolio and Slack accounts. To do this, you require an authentication token, which you will then use in your Klipfolio query to access your Slack data. Generate a full-access token by clicking Create Token. Note: If you do not have permissions from your Slack admin for your full-access token, an error message will appear. Once you have your Slack API token, use it to connect in a Slack query in the Connector Gallery, or to add a pre-built Slack Klip to your dashboard. Advanced: How do I use APIs to build a Slack data source? If you need assistance using APIs, enlist a data analyst or developer to help you. If you want to edit a Slack data source that you already created, check out How to edit or reconfigure a data source, and get step-by-step instructions.